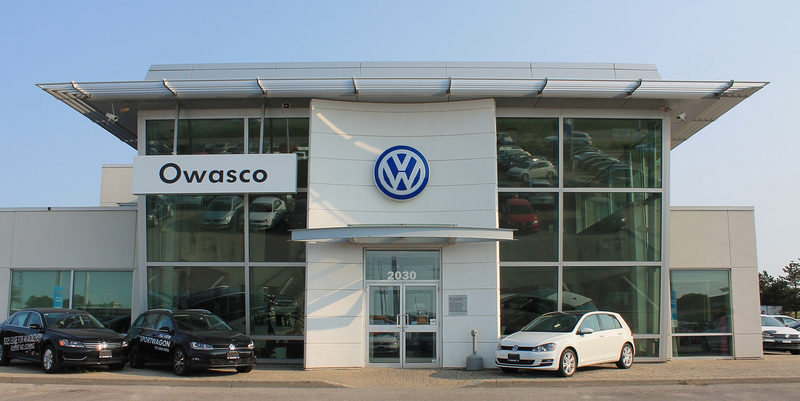 Owasco Volkswagen – What makes us a unique dealership? We are a family owned and operated dealership since 1972, Owasco Volkswagen is committed to providing the highest levels of customer service through our unsurpassed knowledge of the Volkswagen vehicles we sell and service. We are very committed to building relationships with our customers and for them to become a part of our Volkswagen family where we treat you like a friend and family member, not a number! We are the #1 Certified Pre-Owned Volume Volkswagen Dealer In Ontario! Huge selection of 100+ Certified Pre-owned Volkswagens. If you don’t see what you’re looking for, we can get it in 1 week guaranteed!! Our staff of automotive professionals takes pride in representing the Volkswagen brand and is well versed in the innovative design, advanced technology, and superior performance that the brand represents. High quality engineering, practicality and efficiency are at the center of a totally fulfilling Volkswagen driving experience. At Owasco Volkswagen, we strive to offer a customer experience at the same high level. Whether you are looking for a new or pre-owned vehicle, need parts or service, or would like information on Volkswagen products and services, please call or email us for prompt attention. Volkswagen customers expect superior performance without compromise. At Owasco Volkswagen we look forward to exceeding those expectations.